And that’s how I found myself returning this summer. What was meant to be a west coast USA road trip also ended up having New York, Toronto and Niagara tagged on too. Lengthier and a bit pricier than I’d planned? Yes. But worth it to continue my search for the best ways to see New York City amid the hustle and bustle? Definitely. A wall of heat hit us as we stepped out of our airport taxi and onto the pavement, immediately propelled into a throng of tourists seeking the perfect grassy lunch spot. If you hadn’t already guessed, our first day in the Big Apple was to be spent exploring Central Park. On our last trip it had been -10ᵒC and sleeting, so it was a relief to be able to walk and talk without our teeth chattering and limbs shaking. In fact, at the beginning of June it was the complete opposite: high humidity and temperatures pushing 30. 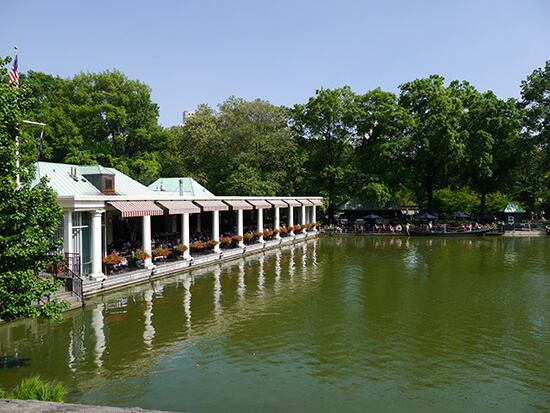 We didn’t mind though, as it meant that we could amble much further than we dared before – ticking off The Loeb Boathouse, Strawberry Fields and the Bethesda Terrace – and in shorts and T-shirts to boot. We also knew that we just had to walk the High Line; especially as last time we visited NYC the overhead attraction didn’t even exist. Its 1.45-mile stretch is blissfully stroll-worthy, taking you 20 blocks north from 14th Street, without having to pause to cross any of Manhattan’s busy roads. Looking back now, it’s easy to see how we were clocking up nearly 20 miles of walking each day. On my previous trip I hadn’t had the chance to venture to Brooklyn, so doing so was top of my priority list this time. And what better way to do just that than on a tour which also includes copious amounts of pizza? 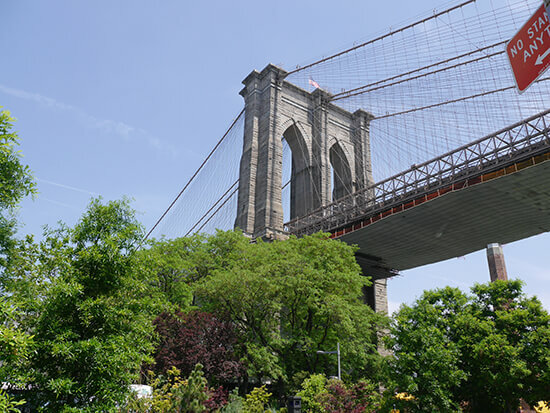 A Slice of Brooklyn Bus Tours was our answer, and their ‘A Slice of Brooklyn Pizza' tour took us through the best of this brownstone-peppered borough. 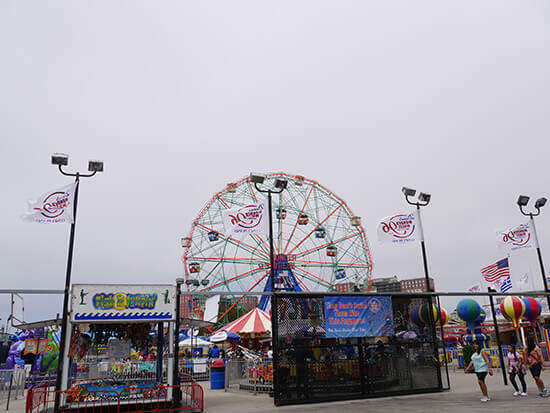 We ate more pizza than our stomachs could handle (skipping the pizzeria lines), strolled along the historic Coney Island boardwalk and stumbled upon some great movie locations. As an avid fan of bread and melted cheese – especially when combined – this is easily one of my favourite New York moments to date. Even better, we got to see the Manhattan skyline in all its glory and the Brooklyn Bridge up-close. Our hotel, the boutique 6 Columbus, overlooked the urban patch of greenery that is Central Park. We were delighted when we found out that, in addition to the chic, sixties-inspired rooms, there was even a rooftop bar: the Blue Ribbon Hi-Bar. 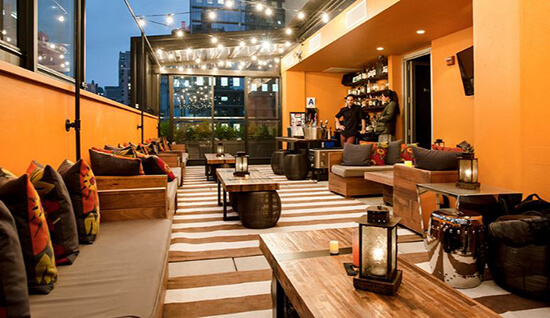 Decked out with cushions and fairy lights, while affording a vista punctuated by the greenery of the park and the skyscrapers of Columbus Circle, the bar seemed to be a blissfully well-kept secret - despite being named one of the top rooftop bars in New York by Fodor’s. I quickly realised that this is a great way to see the city and, in that moment, made it my mission to seek out the best rooftop spots around (in addition to the greatness of the 6 Columbus of course). For a drink with a view, we also loved Pod 39’s Mexican heritage bar in Murray Hill and the jungle-style Delancey in Lower East Side. There’s something romantic about taking to the water to get a better view of the Manhattan skyline. 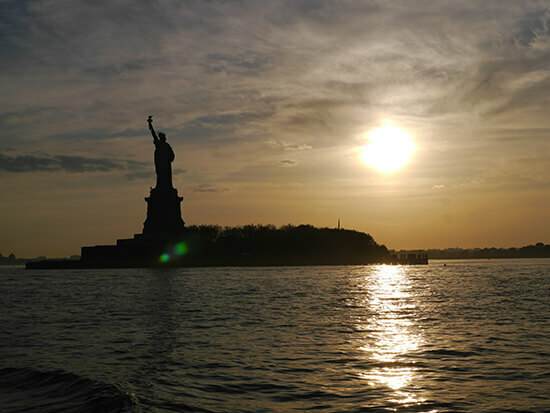 And with our New York CityPASS, we had a choice of five Circle Line Cruises: the Landmark Cruise, Harbour Lights Cruise, Liberty Cruise, Hello Brooklyn Cruise or a 30-minute ride on The Beast – a 70-foot, lime-green racing powerboat. Having already revisited the Statue of Liberty on this trip, we opted to watch the sun go down over the city with the Harbour Lights Cruise. It was definitely the right choice. The sun was still shining when we pulled away from the dock at Pier 83, dancing off the water as it rippled around us. But not for long. 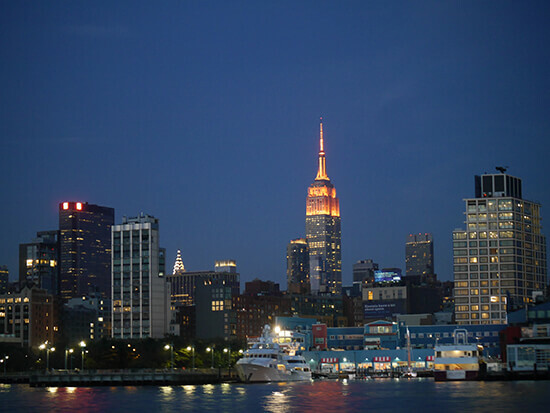 As it began its descent to the horizon, the sky around us began to glow with a million shades of orange, bouncing off skyscraper windows and causing a temporary blindness. We cruised around the base of the Big Apple from the Hudson, past the Statue of Liberty, coming round to the East River to drift beneath the Brooklyn, Williamsburg and Manhattan bridges. Despite seeing it dozens of times already that day, I couldn't help but feel a tingle of excitement each time we caught a glimpse of the Empire State Building in a new light. And slowly, before we knew it, the sun was gone and, in its place, a plethora of dancing lights, illuminating the shoreline and beyond. Views don’t get much better than this; the awe-struck hush throughout the boat (save for the click of cameras), suggested everyone else felt the same. Alex visited New York as part of a tailor-made version of our California & Canyons and East Meets West Journeys. To find out more about booking your USA holiday with Flight Centre, speak to a Travel Expert today.